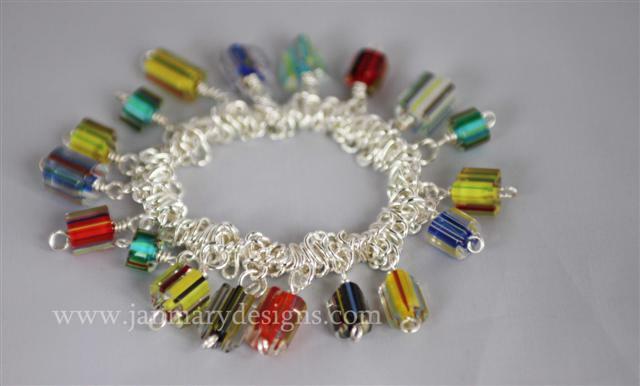 A lovely cheerful and funky stretch bracelet, handmade by Janmary Designs. 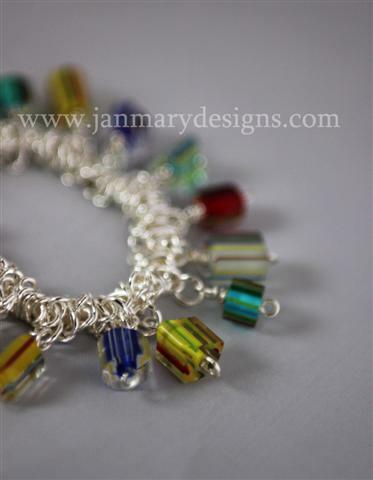 Using colourful striped beads this easy-to-wear bracelet is eye-catching and sure to be noticed. It is reasonably priced at just £20, and if you would prefer a similar style of bracelet but using different beads or colours, just get in touch using the Contact Form to the right, and I will get right back to you. A similar bespoke item would cost from £22.